Everyone decorates sugar cookies for Christmas. Want to change things up and do something different? Try these! Bake up a batch of brownies and turn them into adorable little Christmas trees. 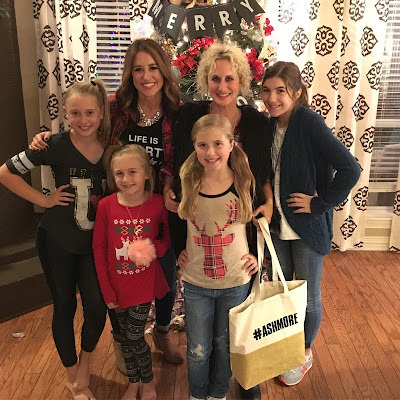 After a failed attempt at sugar cookies this year (I say failed because sugar cookies seem so time consuming and by the time you get them decorated you have a cookie that doesn't taste that great - plus a big mess to clean up!) 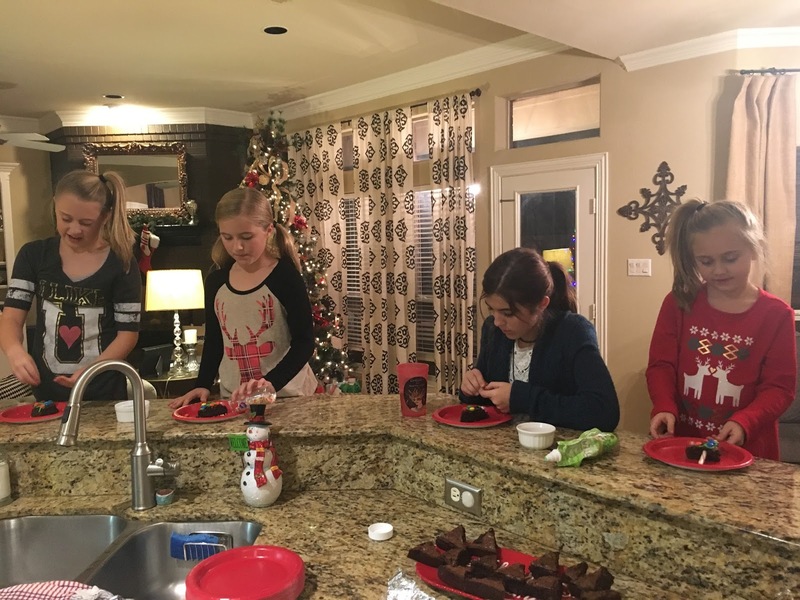 So I went in search of a fun holiday dessert we could make together. 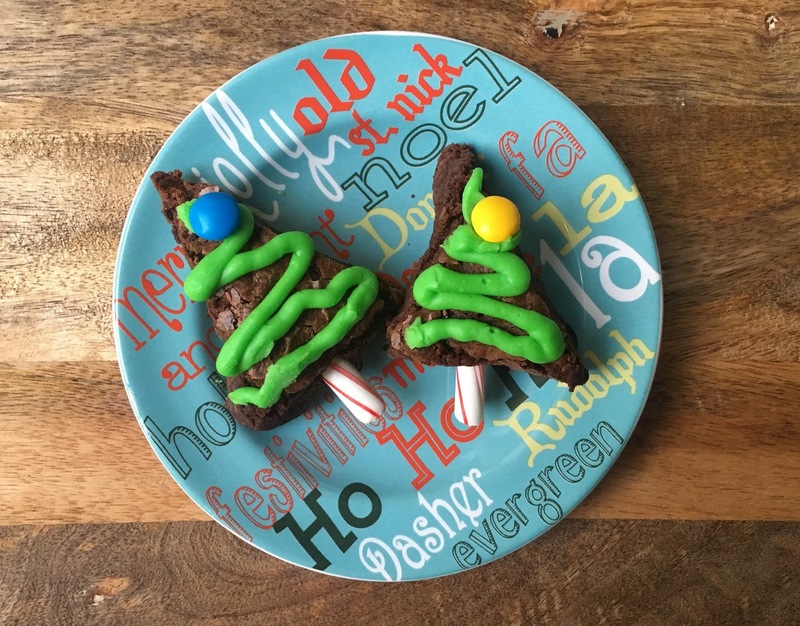 I spied these Christmas Tree Brownies on Pinterest and decided to give them a try! Directions: The trick to good brownies, is lining the pan with foil before you add the batter. Then grease foil lined pan heavily before pouring in the batter. I doubled this recipe because the Ghirardelli mix tends to make small batches. 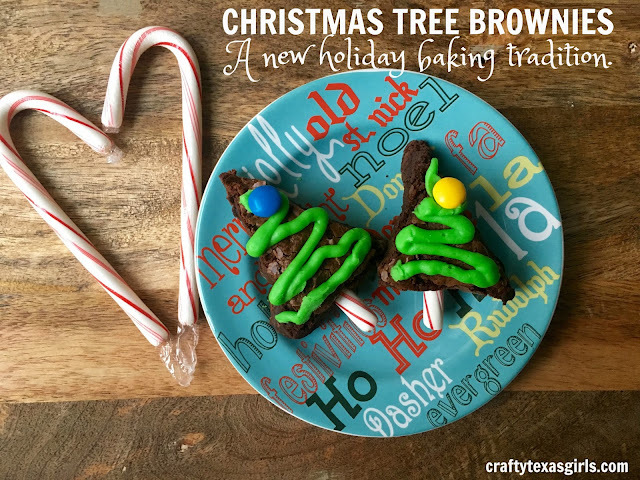 I wanted to have lots of Christmas tree brownies- so I used to two boxes and baked them in a 9x13 pan at 325 degrees for 42 minutes. Be careful not to overcook- brownies are best when they are soft! Remove the foil with the brownies and let them cool completely. After they have cooled, carefully cut them into the triangle shapes. I tried to follow the photo above by MomFull Recipes- when cutting. But to be honest, cutting brownies is hard. I think they would have to be 'over-cooked' and dry to cut them easily, with clean lines. My brownies are soft and the straight edges were tough. So after cutting, I used my hands to tidy up the 'triangle' shapes. After they were cut, the fun part started! We used broken candy canes for the stems and added icing with M&Ms. You could incorporate sprinkles too. 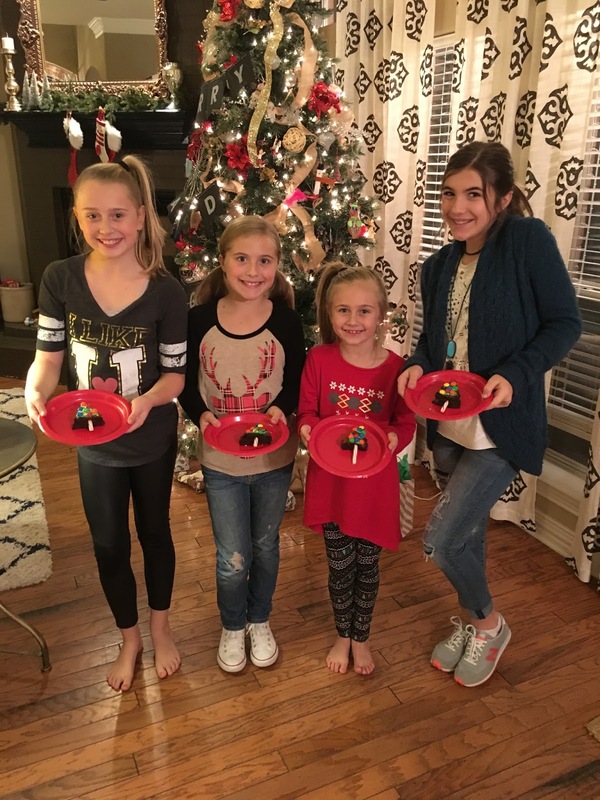 The girls were happy with their creations. What are you favorite Christmas baking traditions?